It's not a typo - February 13th is Galentine's Day, and girl, you better be ready to shower all the beautiful, talented, brilliant musk oxes you know with affection. While the tradition started by the illustrious Leslie Knope entails a brunch on the 13th, this year we recommend an all-day soiree on whatever day you choose - since, you know, Friday is a workday. This is a HI-STYLE-tested, BFF-approved guide to gifting, partying with, and just generally obsessing over the actual loves of your life. Lovin' your Galentine from afar? 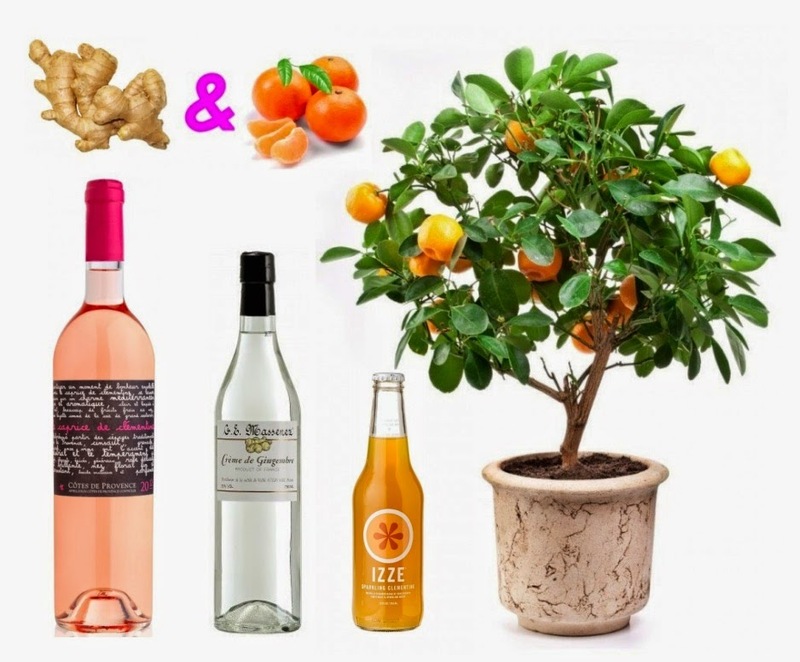 Try a BOXFOX Galentine's Day package that is sure to titillate and amaze. Careful - their boxes are so gorgeous you may end up getting one for everyone you know, and maybe yourself as well..."love thyself, etc." am I right? Does your woman like pretty pictures of food? Does she like feminism and culture? If she likes none of these things, I don't know why you're friends with her - but if she does, boy have I got the magazines for you! 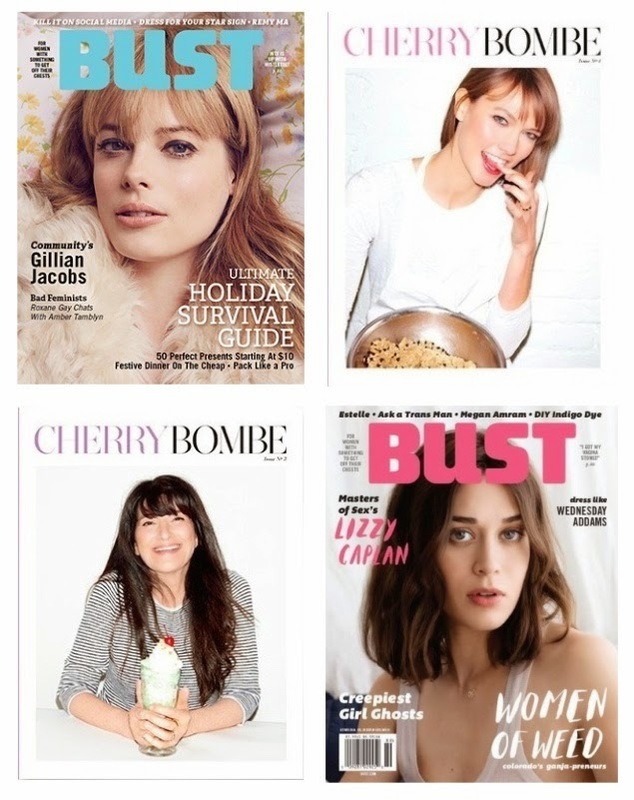 Cherry Bombe and Bust are two of the best publications on stands now, the former being a biannual lovefest for all things food and gorgeous, and the latter being a smart, witty look at the world, with a feminist bent. And please, please subscribe to your favorite publication rather than buying it at newsstands - mags only get a fraction of the newsstand price, while the total price of the subscription goes to the magazine itself. Plus it's usually cheaper for you! 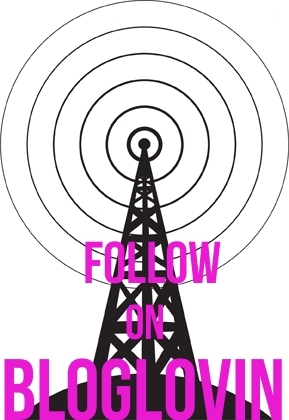 If we don't support our print publications, they'll go away entirely and I'm not ready for that...I'm still mourning the loss of my beloved Missbehave, R.I.P. Keep print alive! Any self-respecting woman of fashion would die to get their HANDS (get it?) 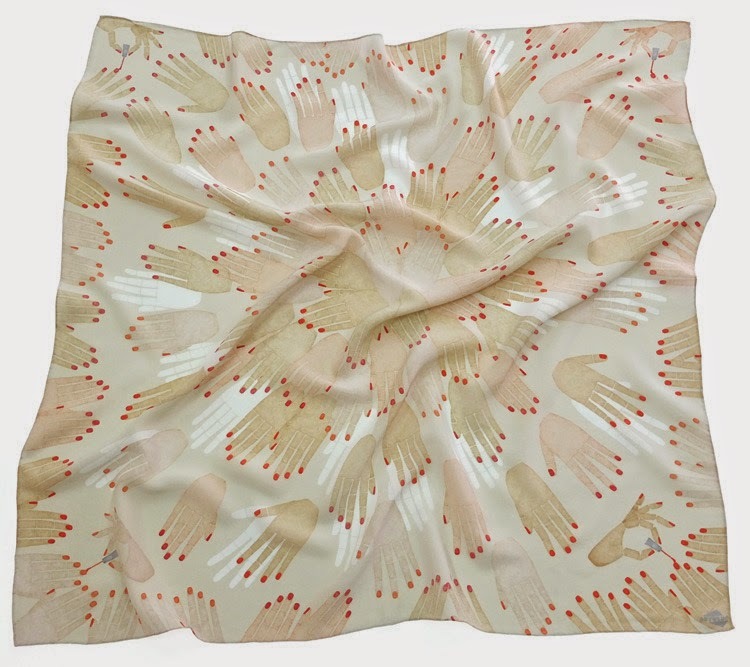 on this gorgeous scarf from Spanish designer SuTurno. Their other patterns are just as perfect, including glasses, pantyhose, and cacti. There's no better feeling than nice, new pajamas. Treat your girl to this gorgeous set from Base Range - it's either supposed to look like marble or crinkled paper, and either way is driving me mad with PJ lust. John Barrett Salon, New York. For the main event, get your gals together and hit up one of many Braid Bars setting up around the globe. The OG is John Barrett Salon in NY, who started his braid bar in summer of 2011 to rave reviews (he's since also opened a ponytail bar, SWOON) but you can check out Assembly in Los Angeles, Blo in Washington, D.C., or Blow Ltd. in London for similarly amazing braiding. Just plop yourself and your biddies down and get your fishtail on - or crown, infinity, or any other type of braid you can come up with. These guys are wizards. The chicest to-go packaging from Sugarfish. 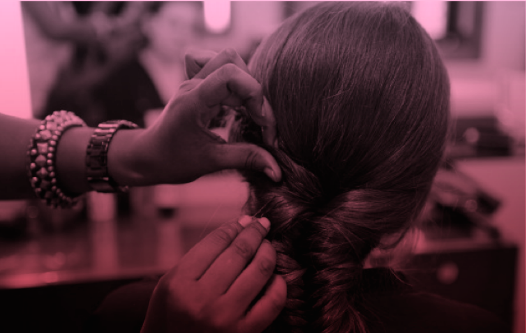 Now that you're braided to the nth degree, it's time to...head home for din, because no $95 Valentine's prix fixe is worth the complimentary glass of cheap champagne and stale chocolate strawberries. 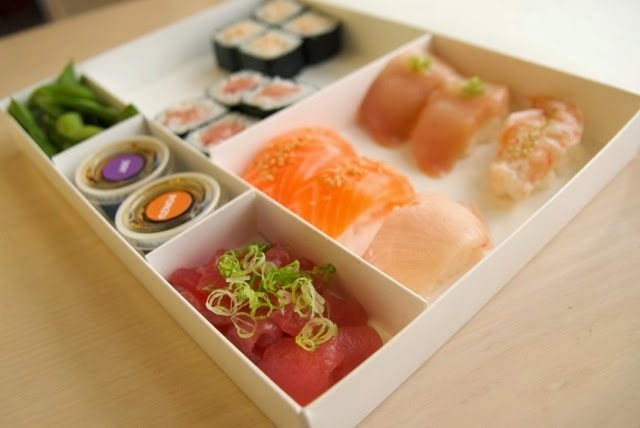 Instead, order in a few rolls from your fave sushi place - you won't regret it. The show: Parks & Recreation, Season 2, Episode 16: "Galentine's Day"
The game: Drink every time Leslie calls Ann something other than her name (ex. beautiful, intelligent musk ox, poetic and noble land mermaid, etc.). Drink every time someone says "Galentine's Day." Drink...whenever you want to, because we are ladies and we do what we want. This is perfect. May god bless Galentine's Day, and god bless America.